My year of living the life of an unemployed author was up. My wife had given me that much time–and no more–after I’d quit a job of seven years with a major marketing agency in Seattle. My career in that field had been successful enough. My main contribution had been in the dual role of project estimator and profit analyst. I was responsible, on a project-by-project basis, for capturing all costs and securing the desired margins for the company. I was good at it and usually exceeded the expected profitability goals. But after seven years of this, I was burnt out. I wanted to follow an old dream. I wanted to take a shot at the Great American Novel. When I first told my wife of this goal in 1991, she made me promise to stay in my job for one more year so that we could save enough money to survive my year of writing without touching our existing savings. And she made it clear that one year was all I was going to get. Our two-year old daughter stayed neutral on this, though in later years she usually sided with my wife in these matters. So I had to find a job. I figured I would go back to what I’d been doing, but the early nineties were not good for out- of-work middle managers. It was not as easy to resume my previous career as I’d hoped, and after a couple months of no luck, I spotted an ad in the Puget Sound Business Journal. An outfit called Paget Press was looking for a full-time marketing manager, offering a rather low rate of pay but with a promise of a share of the business profits, were any to materialize. I decided to go for it. Paget Press was located just north of the Seattle Public Market, in a building called the Triangle Building, which was exactly how the building was shaped. When I entered their offices, well lit and cheery, for my first and only interview, I don’t recall seeing anyone around except for Peggy Thompson, who owned the business along with her husband Gary. Gary worked days at Boeing, so Peggy pretty much ran the show. Peggy met me in the reception room and led me back to her office. After introductions and pleasantries, she explained to me the nature of the business and its goals. For me, this was all just a formality. I’d pretty much decided to take the job if offered. Beyond the domestic pressures, I needed to get back to a real job with some kind of income. My impression was that Peggy had also decided to offer me the spot if I wanted it. What I learned from Peggy that day was that Paget Press wasn’t really a press but a retail outlet for NeXT computers and for NeXT software produced by third-party developers. 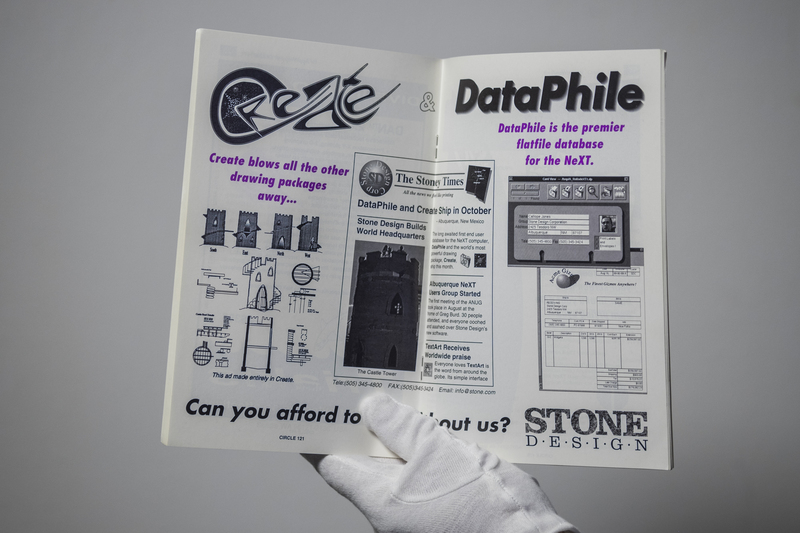 The software products were advertised via a small catalog, published by Paget, that NeXT developers and computer owners subscribed to. That was the main business at the time. The big adventure, however, was going to be the next dimension in software marketing and distribution. 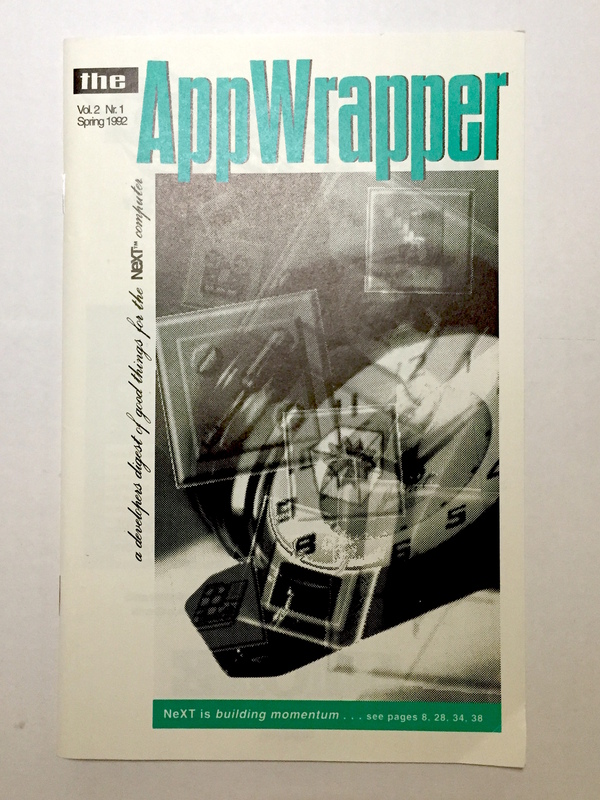 They were going to call it the Electronic AppWrapper (EAW). It was going to be released on a CD, released quarterly and available by subscription, and it would enable instant access to demos and software. As Peggy explained all this to me, I nodded as if I understood. There was one little problem that I didn’t bring up in the interview. I didn’t know a goddamn thing about the software business, knew nothing about NeXT computers and software, and next to nothing about software in general. I knew how to use a few applications—word processing, spreadsheets, data entry applications. But to me, these were just templates on a screen. I was dumb as a post about the operating system and its mysterious powers. I didn’t even know what a CD was. They were a relatively new thing then. At home, I had a Gateway, which used only floppies, running Microsoft Windows 3.1, which meant that I was unknowingly in the enemy camp. I used it only for writing and email. Anyhow, whether my ignorance was well concealed or benignly overlooked I didn’t know, but I was offered and accepted the job. Although the ad had described the position as Marketing Manager, my daily duties went beyond that into other administrative areas. My desk was at the office entry and I became the receptionist, greeting visitors and answering calls. I also helped develop the individual contracts with our third-party NeXT developers, and in time, I was doing quality control on their submitted demos. Sometimes I had to go under the hood and make slight alterations to the code to protect Paget’s proprietary rights under the contracts. I also made regular phone sales calls to recruit new developers for inclusion in our venture. 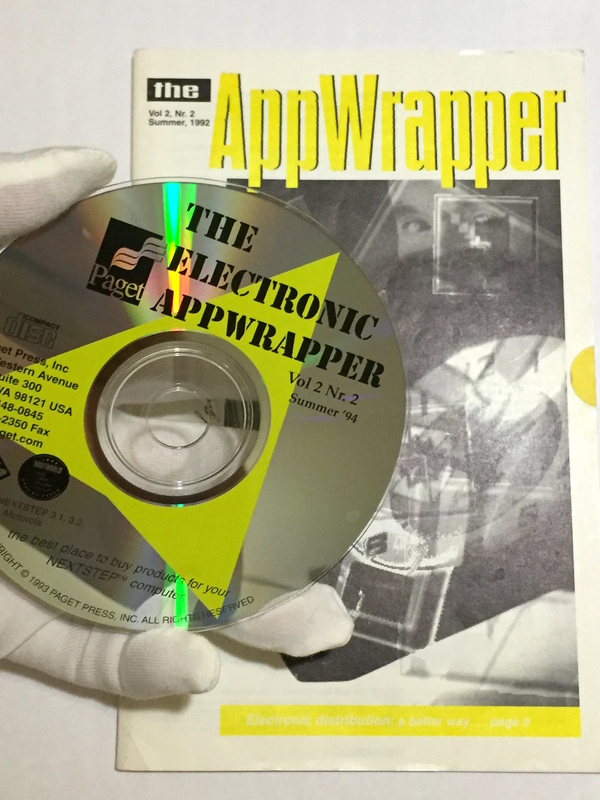 The principal mission of the EAW was to present software demos and encrypted versions of the full software package to subscribers who were using NeXT computers. The customer would check out the demo and, if interested, could hit a buy button, enter a credit card number, and submit the order via email to Paget Press. The credit card number was automatically forwarded to the bank for approval, and then on our end a key was generated and sent back to the customer. The customer used this key to decrypt and install the full version of the software. It was simple, quick, and neat. Jesse, with the help of some supporting developers, a young and eager crew…They had their own section of office space adjacent to the main room, which was their domain. I didn’t get to spend much time in there. —says Carey of the project. This all sounds pretty ho-hum now, but no one had ever done this before. We were pioneering a whole new process for buying software. And in the context of the NeXT environment, it was beautiful. Even I could see that this was an elegant technology, like nothing I’d ever seen before. Jesse, with the help of some supporting developers, a young and eager crew, were engaged in building the core framework and engine for the EAW. They had their own section of office space adjacent to the main room, which was their domain. I didn’t get to spend much time in there. I mainly worked with Peggy on the strategic issues around advertising and pricing, including ad copywriting and ad design. We were a small business with a small crew, so we each wore a number of hats. As we worked toward our first release, I did get to make a contribution on the creative side. Peggy wanted to bring a flavor of Seattle, especially of the Seattle Public Market, to the product, broadening the EAW into a sort of an electronic magazine that would include music, art, and literature. The EAW would not just be a software delivery mechanism; it would be a full multimedia experience. “Multimedia” was a newish term then also, and during this phase Peggy sent me out to do research in this area. It was a fantastic learning experience. One of my early assignments was to assess the market potential to figure out what the bottom- line requirements would be to make our enterprise profitable. I looked at Paget’s existing customer base, at the theoretically available universe of the whole NeXT customer base, the margins we could expect from markup based on a realistic assessment of volume, and of course, our running costs plus the significant investment the Thompsons had already made. It didn’t take me long to gather up this data. Less than two months after I was hired, I had to go to Peggy with some very bad news. I can still remember the anxiety I felt. I don’t remember the exact numbers, but it came down to this: the existing customer base was too small and the maximum markups we could command on the products was too low. We would need about 10 times more customers than we had, and they would all have to reliably spend hundreds of dollars every year to keep us afloat. Any hope of exponential growth depended on NeXT’s growth, and it was becoming obvious that the company’s growth potential was weak. We know now what we didn’t quite know then, didn’t want to know, that this beautiful adventure of Steve Jobs was going to fail as a business venture. In its much smaller space, Paget Press was bleeding money that it would never see again. Peggy took the news with a shrug. I understood then that publishing the first EAW wasn’t just a business issue with her. It was a passion for her and for the other contributors. And no one at Paget better exemplified that passion than Jesse. We were going to do a beautiful thing that no one had done before, and nothing would stop us. We would publish quarterly, and the first two editions were magnificent, featuring music and art from local Public Market musicians and artists. 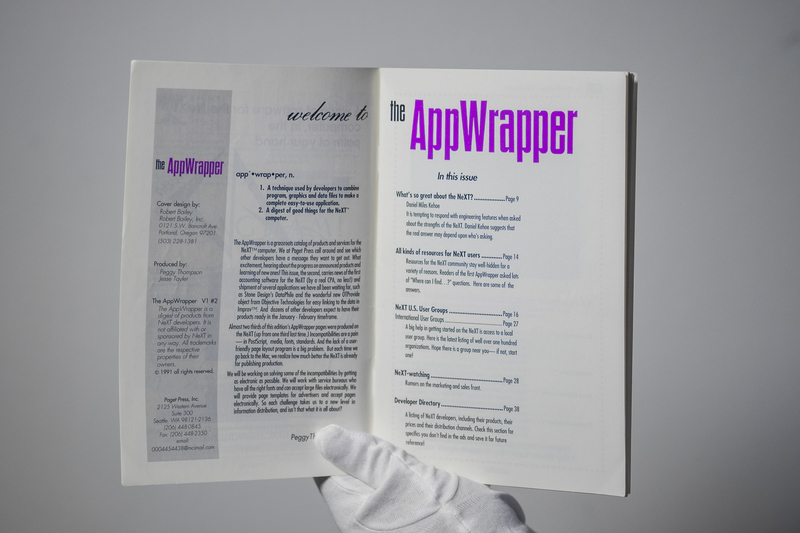 We would publish five editions in all, though the last three were a bit less colorful than the first two. At a NeXT developers conference in San Francisco, I was there when Jesse demo’d the CD to Steve Jobs. It was an exhilarating moment. Steve rapid-fired questions and Jesse was ready for every single one. Subsequently, I initiated an email conversation with Steve, trying to persuade him to include the EAW in the NeXT (which soon became NeXTStep) software box and also provide us with a small royalty to cover our costs. He liked the idea of putting the EAW in the box but regretted that he could not pay us the royalty. Peggy and Gary decided they could not absorb the additional production costs without some help from NeXT, and that was that. And then it ended. Peggy decided to try a new business venture, managing some local musical groups, who you can hear on a couple of the disks—Banana Fish and Oriana. I still have their CDs. A couple years later I landed a gig at Microsoft, where I stayed for 15 years. The knowledge and skills I gained at Paget were a huge benefit to me. I was able to hit the ground running as a technical editor for programming and IT documentation, even in the more primitive world of PC technology. While the hoped for earnings boost never materialized, my experience at Paget Press and involvement with the EAW gave me a jumpstart into a career that turned out to be more lucrative than any I’d had before. NeXT. A computer that made history more than it has been part of history. Until now. AppStorey brings you the untold Story of the people who were at the crux of computer history and created things billions of people use each and every day. This is why Wikpedia is vague! Because, despite your 2,000 words in what is “history” you have omitted any timeline! How about some solid time points, please.